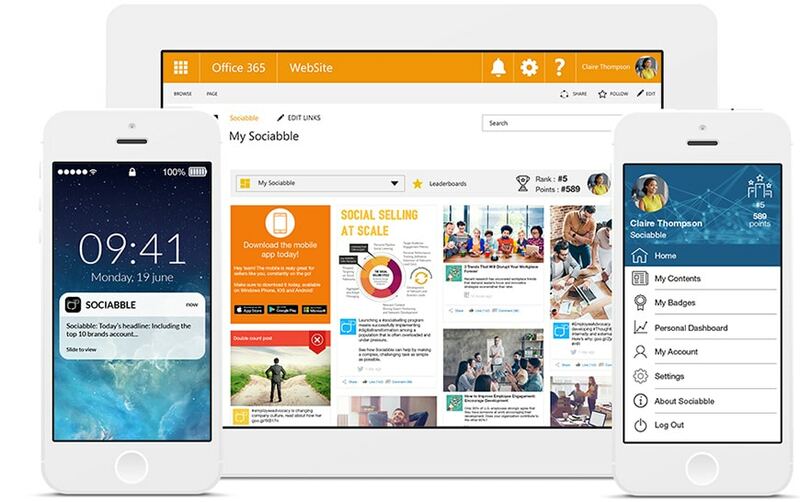 Sociabble allows you to strike the perfect balance of brand, third-party, and user-generated content (UGC), as well as combine internal and external communication. Content is organized onto themed channels. Users can subscribe to their channels of choice with the option to update their preferences at any time. User-generated content is a central element of the platform while a number of third-party content curation integrations are also available. Sociabble users win points for their activity on the platform which offers a full suite of gamification and engagement features. 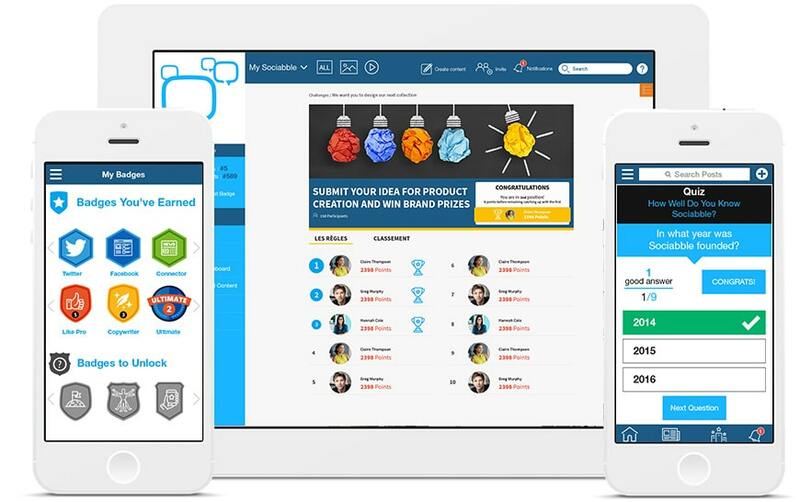 All gamification features can be customized by administrators and tailored to specific user groups. The Sociabble platform is designed to be as simple to administrate as it is to use while maintaining the security of enterprise environments. Native mobile applications are available for Android, iOS, and Windows Phone. Single sign-on and active directory integrations are also available. 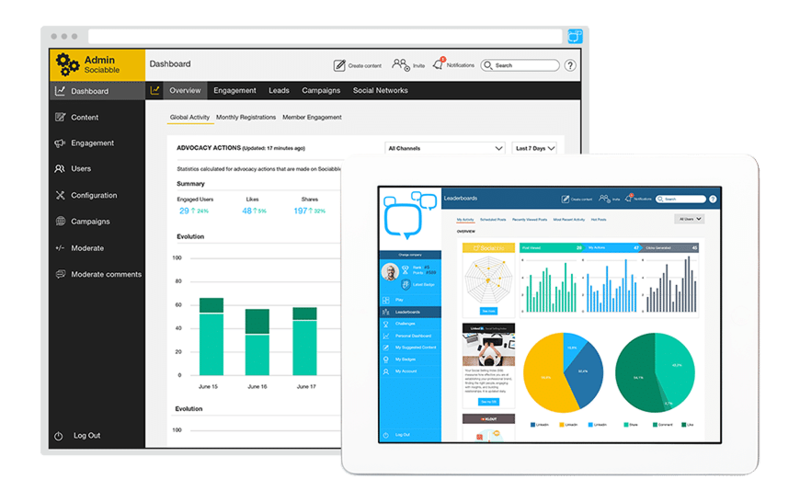 Sociabble users have access to a personal performance dashboard while specific metrics are available for social sellers. 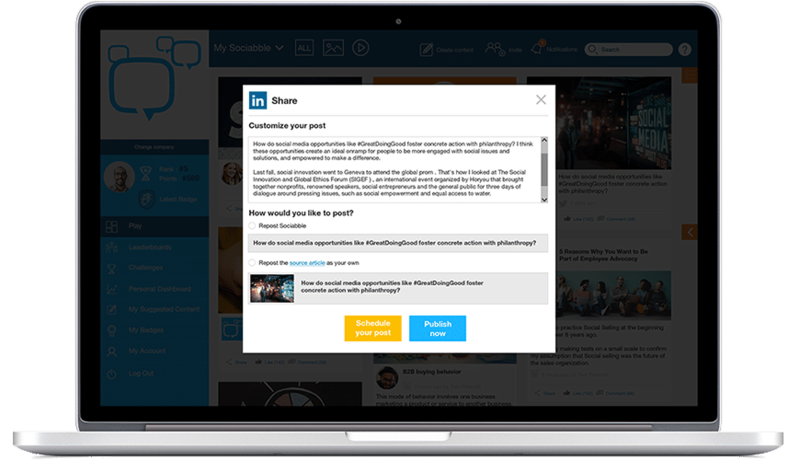 Platform administrators can view in-depth user engagement, content performance, and social media reach statistics. URL and lead generation tracking is also available. Sociabble users can like and comment on content internally and/or share it externally on their own social media networks according to the platform settings defined by administrators. Shareable posts can be modified before publication and scheduled to go out at optimal times throughout the day. The Sociabble platform provides a real-time notifications panel and an activity feed displaying the latest user activity. Interactive content: quizzes, polls, etc. Bots for Workplace by Facebook, Slack, Yammer, Teams, etc. 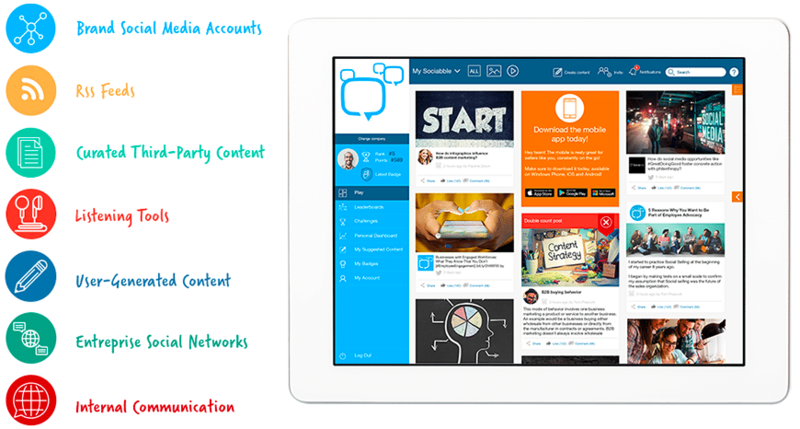 Want to see Sociabble features in action?